« Environment is everyone’s concern » affirms Philip Bartilet. In XXXX, he created AGAP Bulusan inc., an NGO that gathers all the People Organizations in Bulusan city (youths, teachers, religious, women, tricycle divers…) to implement a common policy regarding the environment. The last action of the NGO: a petition against the construction of a geothermal plant very near from the Protected Area of the Bulusan volcano (still active) and from the town. Around 70% of the voters of Bulusan signed the petition and the mayor had to stop the project. 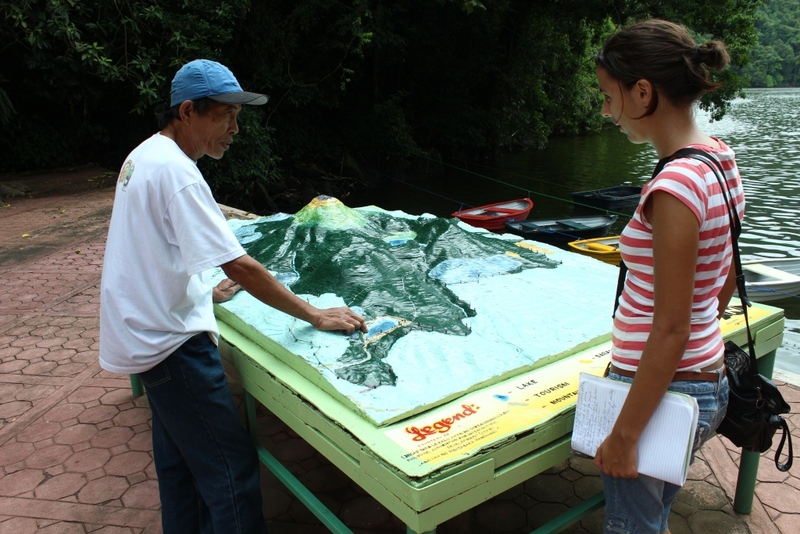 In 2007, AGAP Bulusan conducted an analysis to know what were the needs and weaknesses concerning the environment conservation. The study pointed out the lack of research and environmental education and the very high poverty incidence in Bulusan that sometimes leads to illegal activities such as cutting trees in Protected Areas. Tourism then appeared as a solution for protecting the environment while creating more jobs for the community. After identifying the sites with a high potential for tourism, AGAP Bulusan (followed by the local government) decided to concentrate its efforts on the volcano, its large number of endemic species and its three lakes. Tricycles drivers received trainings on how to handle tourists and local guides were also trained on the biodiversity and first aid knowledge. Besides his capacity to gather the community, Philip Bartilet has also very good capacities on how to raise funds for his projects and to whom. He got a grant of US$ 49,263 from the UNDP, tents and kayaks from the local and provincial government and funds from the Department Of Tourism for the organization of trainings. Every time, AGAP Bulusan has to provide financial counterparts. 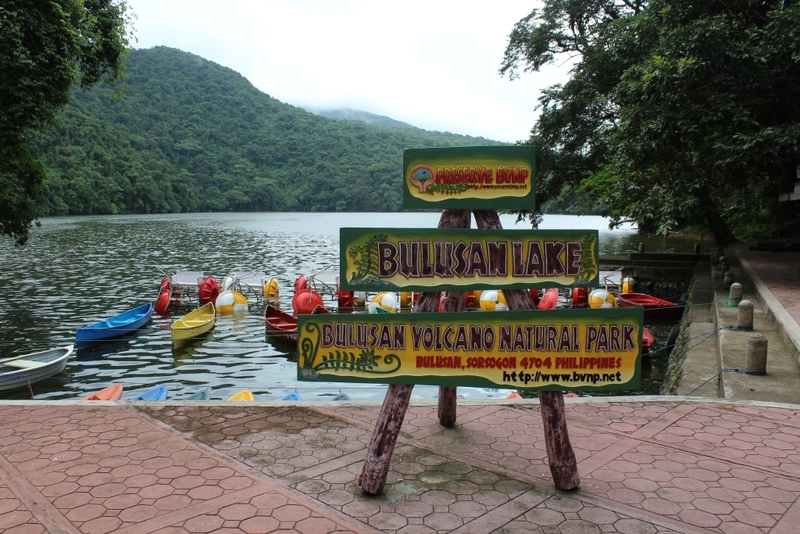 Before AGAP, the first lake of the Bulusan volcano (around 16 ha), was managed by the provincial government who employed people from outside Bulusan to take care of the tourists and the environment. 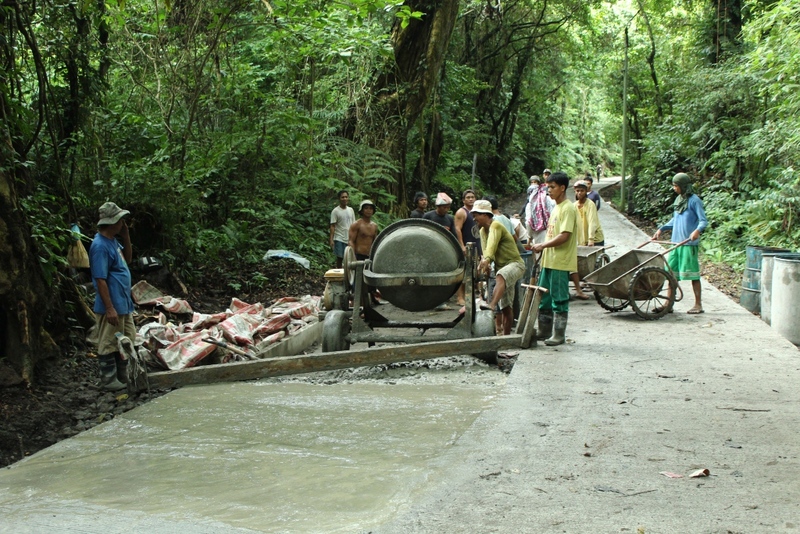 Stealing of equipment was often reported, as the inhabitants of Bulusan did not appreciate they were not benefiting from the tourists arrivals. Today, a local organization, Wildboars Sport inc., member of AGAP Bulusan, is in charge of tourism. 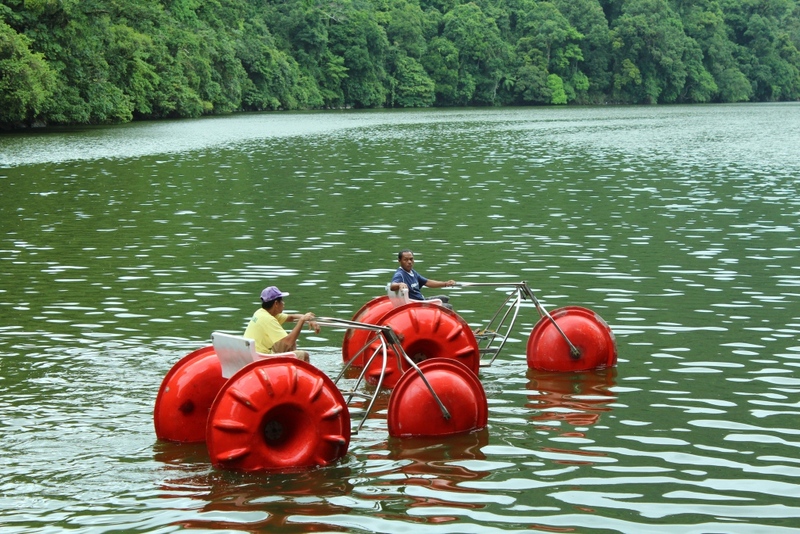 It has 6 permanent employees (during the high season there are also volunteers) and offers kayaks, canoes and paddle boats rental as well as treks with a guide and climbing of the mont Bulusan in two days (one night at the lake near the top of the volcano). From last June on, climbers started wearing a number corresponding to the tourists arrivals for this activity. The last sportsman was wearing the number 163 (this does not take into account all the tourists that are coming only for the first lake). Climbers must also plant a tree when they are going up. Once a year, AGAP Bulusan organizes the “Eco Running Cup”, where participants are asked to stop to plant a tree or do other challenges related to agriculture and environment. This is a way to educate the population, promote the work of AGAP Bulusan and have fun at the same time. Moreover, the UNDP funding allowed creating a techno-farm which showcases organic farming in 5 different barangays. Philip hopes that the road going to the first lake will be soon totally practicable, as the politicians promised, so that more tourists can come. 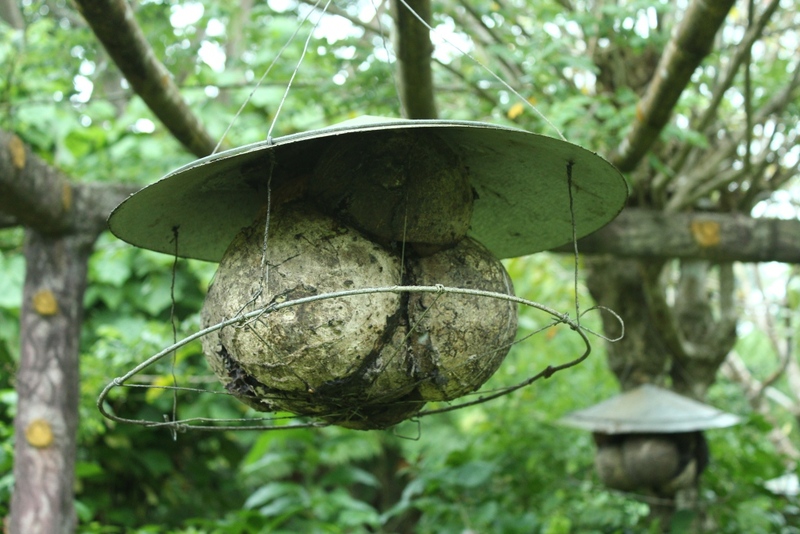 He plans to have a wider marketing plan and also to include visits in farms to learn about bee-keeping or local plants (such as the “pili”). He regrets that until now there has been no tour operator in Bulusan. However, he hopes this will change as Bulusan has many things to offer: it is very closed to Biri Island and its rock formations, from Ticao Island and its Manta rays and Donsol and its whale sharks. We were really impressed by the global vision of AGAP Bulusan and all the activities it handles to improve the lives of the people and take care of the environment. As Philip puts it, the “3P” are what matters the most, by order of importance: “People, Planet, Profit”. A lot could be learned from AGAP Bulusan in order to be replicated in other towns. Dear tour operators, you should definitely include Bulusan in your packages!